We will strip your wheels back to bare metal, repair all the damage on the entire wheel and re-coat in an ultra high quality powder coating, inside and out. This will be the closest you will get to new wheels! 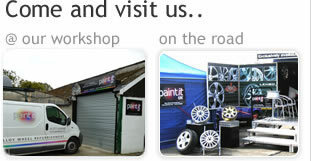 We are one of only a few wheel refurbishment companies in the county who are able to carry out the work to such a high standard. We don't do a quick 'touch"up in the back of a van!.